In the 20+ years I’ve been traveling internationally, I’d like to think I’ve learned a few things along the way. Traveling abroad has changed significantly over the years. I remember backpacking through Southeast Asia in my 20s with a lonely planet guide book and traveler’s checks to Road Tripping through Iceland last summer with google maps, mobile wifi, and a credit card. My goal is to share with you some tips on saving time and money on your travels abroad in a three-part series. The first part is on TSA PreCheck, Global Entry, Automated Passport Control, and Mobile Passport. The second part in the series will focus on the cost of using ATMs with Major Bank Debit Cards, and the third part will be on the Best Travel Credit Cards for Charlotte-based International Travelers. **Be sure to sign up for our e-newsletter and like us on Facebook to ensure you receive each part of the series as they come out. If you aren’t familiar with TSA PreCheck, then in the lyrics of the Black-Eyed Peas, “You are so 2000 and late.” There are now over 7 million people who use TSA PreCheck, according to the Department of Homeland Security’s website. It is the Transportation Security Administration’s expedited program through airport security, in which you DON’T have to take off your shoes, belt or jacket and you don’t have to take out your laptop or liquids. This special privilege is because you’ve agreed to a full background check and interview with the Department of Homeland Security. With TSA PreCheck parents are allowed to bring their children who are 12 and under through security with them. It is important to know that TSA PreCheck is available only domestically at over 200 airports and 56 airlines. After you’ve passed the background check and completed the interview, you’re given a “Known Traveler” number that you will enter into airline websites along with your personal information when you purchase your tickets. After you’ve checked in for your flight and received your mobile boarding pass or have a printed ticket, the TSA PreCheck symbol will be on it. This is what agents check to proceed in the expedited lines to get to the terminals. Global Entry is a U.S. Customs, and Border Protection (CBP) trusted traveler program that allows expedited clearance for pre-approved, low-risk travelers upon arrival (re-entry) in the United States. It is not TSA Precheck. To be clear, TSA PreCheck expedites your security process when entering the airport, whereas Global Entry eases your customs experience when returning to the U.S. However, Global Entry travelers qualify for PreCheck as a perk of their Global Entry status. So how does Global Entry work? Upon your return to the U.S. program members proceed to specified Global Entry kiosks. They are typically separated from Automated Passport Control kiosks that everyone can use. You’ll scan your passport or U.S. permanent resident card, place your fingers on the scanner for fingerprint verification, pose for a photo and complete a customs declaration. The kiosk then spits out a receipt that you hand to an agent before heading to baggage claim. Travelers must be pre-approved for the Global Entry program. All applicants undergo a rigorous background check and in-person interview before enrollment. The cost to become a program member is $100 as well as the time it takes to get an in-person interview. Most major travel credit cards will reimburse this cost once every four years. If you’ve re-entered the U.S. at Charlotte-Douglas International Airport, you may have used one of the 24 Automated Passport Control kiosks to complete the U.S. Customs Declaration Form. Does this mean you have Global Entry? No. You do not pay a fee for this, nor are you required to go through a background check. It is merely an automated process of completing the U.S. Customs Declaration Form. It scans your passport and fingerprints and takes your photo in the same way Global Entry does. Then you take your receipt and passport to show to a Border Control Agent as you exit the Immigration control area. There are about 45 airports, including Charlotte that have Automated Passport Control Kiosks. Mobile Passport is a smartphone app officially authorized by US Customs and Border Protection that speeds you through re-entry immigration at 25 airports and three cruise ports. Unfortunately, it’s not available at Charlotte-Douglas International at this time. However, if your international return flight is to Atlanta, Raleigh-Durham, Newark, JFK or Miami, you’d be able to use it. Please see their website for other participating airports. Here’s how it works: Download the Mobile Passport app for either Android or iOS, and save some of your necessary information, like passport number, expiration date, and a photo; you can do the same for family members traveling with you. You can even scan your passport with your mobile phone in the app, and it’ll enter the information automatically. When you arrive back in the U.S. from overseas, switch off airplane mode, open the app, and answer a few basic customs questions, like Are you bring back fruits and vegetables? And Are you carrying more than $10,000? – The same questions you answer on the U.S. Customs Declaration form. Hit submit while you’re taxiing, and the app will provide a QR code “receipt” on the app. When you enter the arrival hall of a participating international airport, you’ll find a designated Mobile Passport lane, where, in my experience, did not have anyone waiting. An agent will check your passport, scan the QR Code receipt on your phone, and send you onward to customs, where you can once again take the special Mobile Passport lane to skip any lines. Here’s the best part, it is free and does not require a background check or an interview, and because it is not a membership program, you can’t be kicked out for forgetting to claim to something in your bag. From the perspective of U.S. Customs and Border Patrol, the Mobile Passport essentially does the same thing as the others. It expedites your information quicker through mobile phone technology. Although the Global Entry Kiosks claim to have shorter wait times than the Automated Passport Control Kiosks, there are now over 5 Million people in the U.S. with Global Entry memberships; this means a vast majority of those on your flight will also need to use either one of these Kiosks. Both of them require participants to scan their passports, scan their fingers, take your photo and complete the Customs form at the kiosks. If you’ve ever stood in line behind someone trying to figure out how to use a kiosk, think self check-out at grocery stores, postal service kiosks or ATMs, then you can imagine the challenge you might have. Not to mention, some of the kiosks have difficulty scanning fingertips or capturing your photo. With Mobile Passport, you can knock out this entire process while taxiing to your gate. 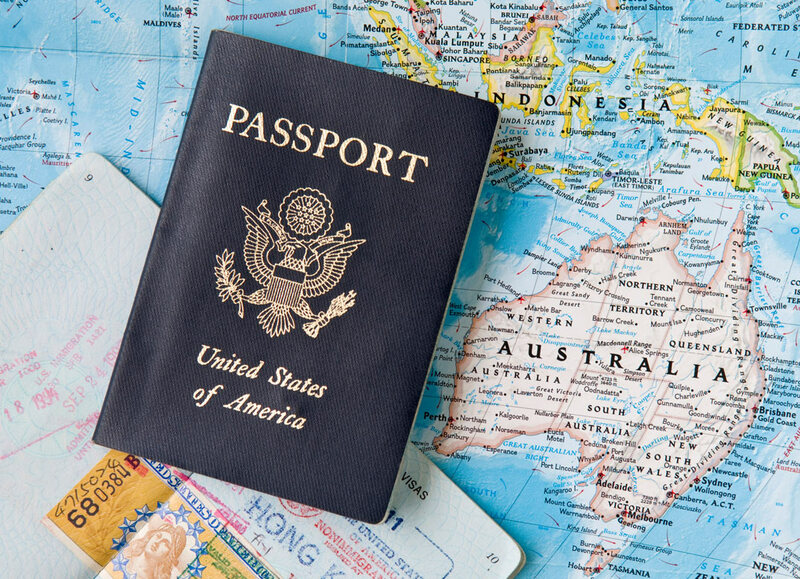 There are two significant drawbacks to relying solely on the Mobile Passport app; the first is only offered at 25 airports and three cruise ports. The second is that Mobile Passport does not get you TSA PreCheck. Get TSA PreCheck at the bare minimum. All children who are 12 and under can breeze through airport security with you. If your child is 13 or older, you will have to pay for them to get their own. It is $85 and will be reimbursed through most major credit cards (we’ll get into those details in part 3 of this series). Global Entry requires membership from all persons using the expedited kiosks. Since Global Entry is $100 (only $15 more than TSA PreCheck) and it includes TSA PreCheck it may be in your best interest to get a membership for each person in your family if you travel internationally often. It is available at 77 airports and for now, is the most reliable line skipping option. Complete applications and payments online. (Be sure to pay with a credit card that offers the reimbursement). Schedule your interview as a family, however, note that it may take a while to get an appointment. **Note: At the writing of this article, U.S. Customs and Border Patrol is not processing Global Entry applications or holding interviews during the government shutdown. My family has been using Global Entry for nearly six years now. We recently had to renew it for both my husband, myself and our daughter. She received her first passport and global entry status at four months of age. Most airline attendants get a good laugh when they see she also has miles accounts for every major airline. On our last re-entry to the U.S., we arrived at JFK in New York from Reykjavik, Iceland. We decided to try the Mobile Passport app. We walked right into a line with no wait, scanned our QR receipt and presented our passports as a family. We were in and out of immigration before a person at Global Entry completed their task at the kiosk. Since it may be a while until you can apply for and receive Global Entry and/or TSA PreCheck, be sure to download the Mobile Passport app if you’re re-entry to the U.S. is at any of the participating airports or cruise ports. You’ll be glad you did!